The best home security monitoring companies have the infrastructure and trained operators to survive anything from a tornado to a server fire without the slightest hiccup in service. 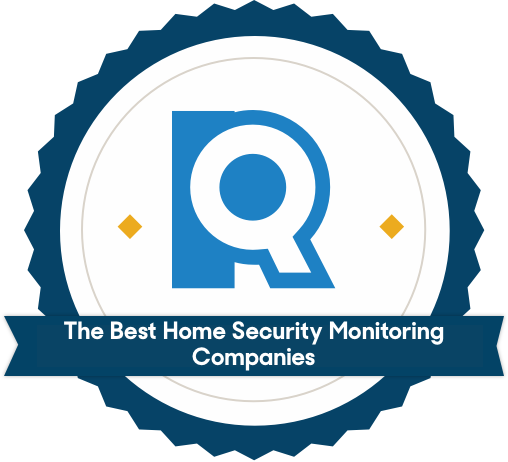 We evaluated the monitoring services of the seven best nationwide home security companies to see which truly excelled at eliminating network redundancy and handling a large volume of alarms. All of the companies we looked at offer cellular systems (or systems with a cellular backup). These are important because they’re unaffected by broadband or power outages, and there aren’t any wires for thieves to snip. If the power goes out, the batteries in a cellular-enabled control panel kick in and the alarm signal is still transmitted. Hot standby is a method of redundancy used my most monitoring stations where two identical hardware systems run alongside each other simultaneously. If the primary system crashes due to a technical malfunction or server fire, the “hot” system takes over and monitoring continues without interruption. But what happens if a natural disaster, like a tornado, wipes out the entire facility? The best home security monitoring companies will have at least one load-sharing station in a separate geographical region. If one station goes down, signals are automatically re-routed to another separate location, so it can pick up the slack. The FM Group thoroughly tests the facilities of monitoring centers, from code compliance all the way down to the integrity of the building materials used. FM Approval requires an investment on the part of the monitoring station being reviewed, but the funds are only used for the testing process and the FM Global Group doesn’t make a profit. Pick up any electronic device and you might notice a little “UL” logo on the bottom. That’s short for Underwriters Laboratories, an independent agency that tests electronics to make sure they’re not just pieces of junk. The UL also tests home security monitoring stations. Its testing methods cover a lot of the same ground as the FM Approval, but it goes even further, reviewing the quality of the monitoring technology and the knowledge, response times, and abilities of the operators and employees. If a station gets the UL stamp of approval, its operators, technology, and facilities are the best of their class. Five Diamond certification requires UL and FM certifications as prerequisites, but also recognizes alarm monitoring companies that contribute to the industry: Their stations must excel in false alarm reduction, the development of industry standards, and compliance with telecommunication laws that promote fair competition. ADT’s calling card is its reputation. It has nearly 150 years under its belt and controls 25 percent of the home security market, serving more than 6 million people. It owns and maintains six monitoring stations that are scattered across the United States in Florida, Texas, Tennessee, and New York. Thanks to the sheer breadth of its network, ADT has the most widely available security monitoring service throughout the US and Canada. ADT customers have six monitoring stations and a team of more than 7,000 trained call operators on their side (that’s 4,000 more than the competition). Each one of those stations has an average of 335 active operators at any given time who are ready to intercept alarm signals. That makes ADT especially equipped to handle outrageous numbers of alarm calls — up to 20,000 per station every day, by its own estimation. New agents train extensively in and out of the classroom for six weeks fielding monitored calls, running simulations, and taking tests. In addition to learning the role of an operator, agents go hands-on with all of ADT’s current hardware, learning how to troubleshoot systems for customers and handle payment issues. Massive corporations often struggle with customer care, and ADT is no exception. Of the companies we tested, ADT has the largest amount of complaints and negative reviews on its Better Business Bureau page. We had pleasant interactions with both the sales representative and our installation technician, but be wary that your experience could differ. Vivint has the most extensive training process of all our top picks. Prospective hires are trained over a 14-week period, spending much of their time shadowing a specialist on the Central Station floor of each monitoring center to get real-time experience handling emergency calls. At the end of the training period, prospects must score 90 percent or higher on the final test to become an agent. If they fail the test twice, they may not continue to apply for the position. As agents are hired, they begin floor training underneath a dedicated “floor coach,” who makes sure their work is complete and supports them as then learn how to navigate their job. All alarm calls that are routed to a brand-new agent within the first two weeks are reviewed by the floor coach. In a fun bit of PR, Vivint CEO Todd Pedersen went on the CBS reality show Undercover Boss with the hope of uncovering the day-to-day stresses of a security operator’s job. Pedersen claims that findings from his visit influenced Vivint’s decision to remodel the Eagan facility, which uses large windows with natural light, a walking trail, and areas for gaming and picnics to help keep employees calm in a high-pressure environment. 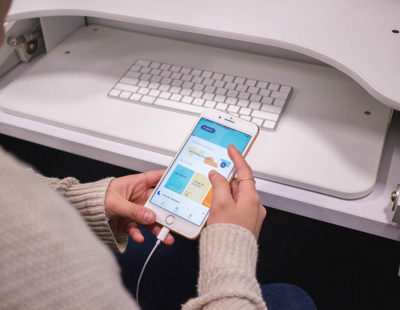 The pressures on home security operators are a big deal, and we like the fact that Vivint has gone above and beyond to help reduce stress in the workplace. Vivint has a long five-year contract and a short three-day trial period. If you opt to choose its month-to-month contract, you’ll have to buy your equipment upfront. Vivint’s advanced tech equipment can run pretty expensive and that initial buy could be upwards of $600. You may also have to pay for the $99 professional installation, depending on the current promotions. In February of 2016, Forbes reported a flaw in SimpliSafe’s system that allows burglars with “rudimentary hacking skills” to disarm a system by accessing the user’s PIN. (You can watch the hack in action here.) That sounds bad — and it is — but the reality is less dramatic. SimpliSafe spokesperson Melina Engel told Forbes “our system provides customers notifications of their disarm events, so they could catch the criminal in the act. Also, customers can change their passcodes anytime locally or remotely via our web app; so if this ever did happen, any passcode data collected useless in a matter of minutes.” She also said the company wasn’t aware of a real-life exploitation of the flaw. SimpliSafe has since released updates that eliminate the vulnerability and it isn’t the first security company to be hacked (ADT, Vivint, and Xfinity have also experienced similar security breaches). We still feel comfortable recommending its systems. While shopping for your home security system, you’ll have to first choose between a professionally monitored system and a self-monitored system (DIY). Depending on your security needs and priorities, you’ll have to weigh the pros and cons of each type of system. Your system will be monitored by professionals 24/7. When an alarm is triggered, the company will attempt to contact you before sending the authorities. If they get ahold of you, you’ll have to determine if its a false alarm or not. They’ll send the authorities if they can’t reach you, or if you feel the alarm is real. Essentially — whether your fast asleep or out of town, there’s someone watching your system and taking action. The time between an alarm being triggered and the police being called can be lengthy. If the company can’t reach you, they’ll try your emergency contact. Then the police will be dispatched if they can’t get ahold of anyone — and if the alarm is false you can incur expensive fees from the city. These monitoring prices typically come at a higher monthly rate too (around $40-$50). When a sensor or alarm is tripped on a DIY system, you’ll receive a notification on your phone. Like with a professional system, you’ll have to determine whether the alarm is false. If it’s a true emergency, it’s your responsibility to call the police. We recommend equipping DIY systems with security cameras, so you’ll always be informed when an alarm trips. If you miss an alarm or notification, the police won’t be coming to your home. You’ll still have to pay a monthly fee to receive mobile alerts, but it’ll be cheaper (between $10 and $30). It’s likely you’ll have to pay for your equipment upfront too, because DIY systems don’t usually require contracts. What’s the difference between in-house and third-party monitoring services? Some home security companies run their own monitoring stations, while others outsource this task to third-party security monitoring companies. As Frontpoint’s Peter Rogers points out in a blog post, “It has become far more expensive to build and maintain a world-class monitoring center, and there is constant and significant reinvestment required to stay current.” Hence, dozens of third-party central stations have popped up in the past few decades to fill that niche. 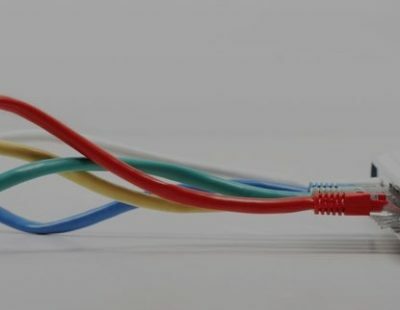 That competition has nudged third-party operators to step up their technology to the point where their technology and training can stack up against just about any in-house monitoring service. Anita Ostrowski, head operations of monitoring centers for the company Vector Security, told us “Both in-house and third-party monitoring centers can perform basic monitoring tasks equally.” Vector Security is a regional home security company that runs its own monitoring stations, so that statement carries all the more weight. 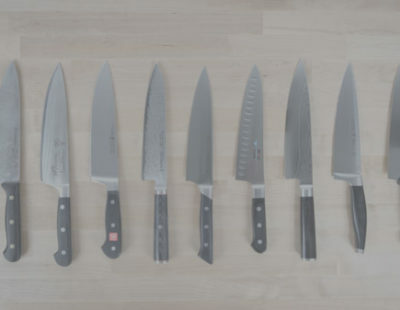 Rodgers claims hiring a third-party operator allows the company to focus on “providing the best technology, with the best service, at the best price.” And for what it’s worth, Simplisafe and Frontpoint have lower monthly monitoring fees than the in-house provider companies. Where does an alarm signal go? When an alarm is triggered, the signal is sent through a landline, wireless, or cellular connection to a monitoring station. Once the signal is matched with your account information, an operator receives will call one of the two primary numbers listed on your account to make sure the alarm was legitimate. If you don’t answer, or the situation is serious, the operator will call the necessary authorities. What is the difference between a monitored and unmonitored security system? When a system is unmonitored, no one but you is responsible to reacting to your system. With a monitored system, there’s a service center ready to notify you and the authorities 24/7. The agents will still leave the decision to call the authorities up to you, like if you were monitoring the system yourself. But if they can’t get a hold of you, they’ll call the authorities anyways. Whereas on an unmonitored system, there’s nobody watching if you miss an alarm. We’ve reviewed the entire home security market over the last few years — and we're always updating our research as the technology improves. Check out some of our other reviews.